One of 6, 30 Foot S-Class Eagle’s built in 1926, and thought to be the last one remaining. Built by Dachel-Carter Company, in Benton Harbor, Michigan. Ezili represents the apogee of prewar S class design. 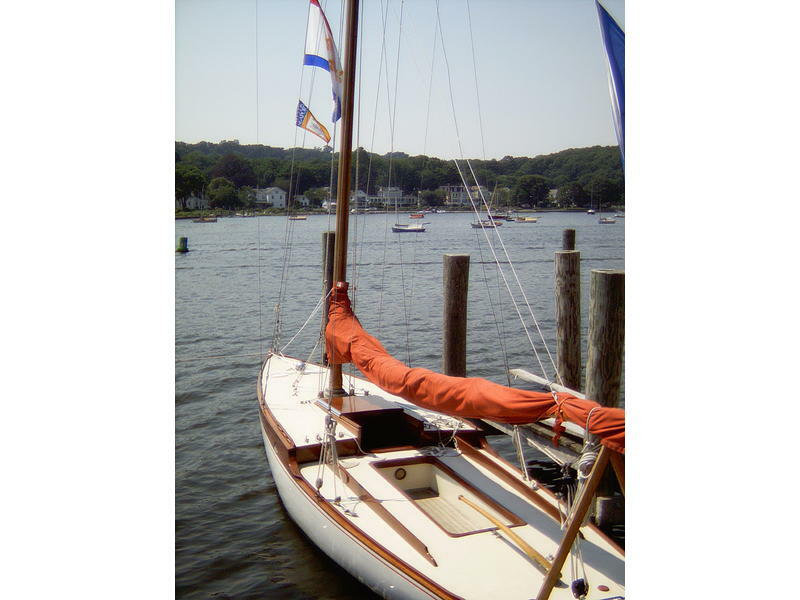 The boat is sleeker, faster and more nimble than the more numerous Herreshoff variant. Ezili has an intriguing pedigree and only has changed hands once; built for the owner of the Chicago Cubs,William Wrigley, the current owner bought her in 2004 following the boats restoration by IYRS of Newport, Rhode Island. 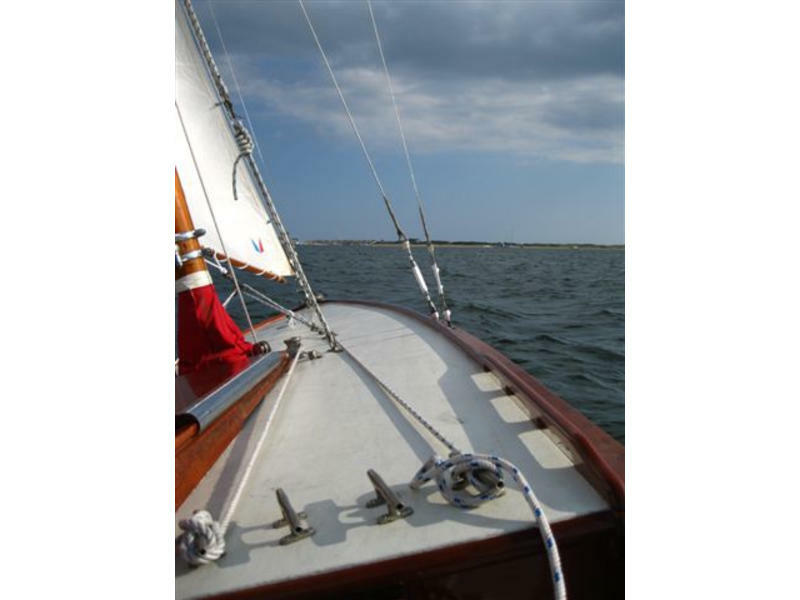 The hardware was replated in 2006, the canvas decking replaced in 2007, and in 2007-08 Bluewater Marine in conjunction with the Master Shipwright at Mystic Seaport conducted a major refit. 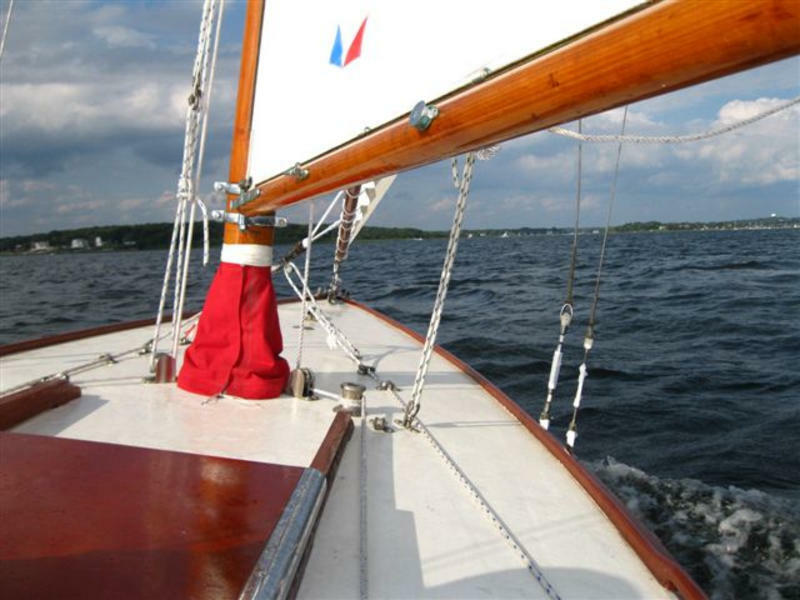 In 2008, Ezili won a special citation for excellence from Mystic Seaport at the annual Antique & Classic Boat rendezvous.